So many heads, so many wits. Well, it's not THAT breaking. As the wife of a prince she is a princess but as Princess is a title reserved for those who hold it in their own right or whose husbands don't have actual titles - in otherwords it is the default title when the husband has nothing else she is correctly HRH The Duchess of Cambridge. Princess Michael of Kent - married to Prince Michael is the only wife of a Prince who uses the Princess title because her husband has no substantive title of his own. The Duchess of Gloucester, when first married was Princess Richard officially but she was promoted to Duchess when her husband became The Duke - she didn't cease to be Princess Richard but she had a more senior title to use - that of Duchess. Had The Queen not given William a title, and thus promoted William on his wedding day, Kate would have become Princess William officially but as The Queen did promote William, Kate also was promoted from the lower title of Princess to the more senior one of Duchess. Strangly many people think that the title Princess is senior to Duchess and yet the only wife of a Prince in the UK who uses Princess is the lowest ranked of those wives - because her husband is the lowest ranked of the princes. The other princes all have more senior titles to give their wives. I think I can sleep tonite knowing Waity has been invited. Wrong she is NOT a princess . As confirmed by royal reporter. It has been explained many times in here . Unlike Camilla who could call herself princess of wales as Charles title is prince. It's all documented in another thread . I wish people would stop spreading lies she is a princess. She is not Princess Catherine, or a princess in her own right but like every other wife in the UK she is entitled to the feminine form of all her husband's titles including that of Princess but as William has a more senior title to Prince - that of Duke she has the more senior title of Duchess. The point that most people don't get here is that 'princess' is a default title - and that as the wife of a Duke she is entitle to a more important title than Princess as William was promoted from Prince to Duke so she also was promoted from potentially being Princess William (which she is) but she is also more importantly the wife of a peer of the realm and thus a Duchess. People think she made the big leapt in her social status on 29th April when in fact that big leap was taken by William. He went from commone to peer while she entered the Abbey a commoner and left it a commoner. William wanted her created Princess Catherine so that she wouldn't be called Princess William because he didn't want a title but when the Queen refused to create her a Princess in her own right he accepted the title so that she wouldn't be called Princess William but she is still Princess William - not Princess Catherine of course. The palace said that she wasn't Princess Catherine and that to call her Princess William would be inaccurate - because William had been raised to the peerage and so above that of a commoner and thus it was inaccurate to use the title associated with the wife of a commoner when she should and more accurately had to use the title associated with the wife of a peer. Why people think it is a lie to say she is a princess is wrong - it isn't a lie - all wives in the UK automatically are entitled to the feminine of their husbands styles or titles and thus the wife of a prince is a princess but...when the prince has a better title the wife uses that title. Who would want to be called Princess anyway when they could be a Duchess - why have the lower title? Pity that so many people don't understand the title system and the order of titles and think that Princess is a senior title when associated with the wife of a prince when in fact the wife of a prince using princess is showing the lower ranking that her husband actually holds. Which royal wife is the lowest in rank - the one who uses the title Princess. Do people really believe that Camilla, Kate, Sophie, Birgitte and Katherine aren't senior to Princess Michael (and remember that Birgitte started married life as Princess Richard)? Did Birgitte actually stop being a Princess when her father-in-law died? No she didn't - but she stopped using the title Princes because she had a more important title to use - that of Duchess. This is the explanation I received from BP about Kate's title - that Princess is the default title and once a husband has something more substantive that title is used but the wife of a prince is always a princess. Exactly, the Palace confirmed it directly to the Royal Reporter. All people have to do is ask him what the Palace told him directly, he wrote it a few days after because, he was trying to figure out her title. The Palace told him directly Kate is Duchess of Cambridge, she is not a Princess. Kate is HRH Duchess of Cambridge. Kate married the newly created Duke of Cambridge. People didn't get up in arms when Sarah was called Duchess of York instead of Princess, I don't get why some get so crazy that common Kate was made a Duchess on her wedding day. I actually saw a NBC Reporter pound the news desk, saying 'how dare the Queen make her a Duchess!" ......I was like....I'm going back to bed, people have really lost their minds about this common tart from Bershire. Kate will become HRH Princess of WALES when William takes on the title from his father,until then Kate is Duchess of Cambridge and that is quite an elegant title. The Queen knew what she was doing. William can go pound sand, if he doesn't like it. I'll bet Kate never ends up with the Princess of Wales title, I think this marriage will be bust before that ever happens. She can't even handle her duties as Duchess of Cambridge. Well, think about it. They don't call them the Disney Duchesses, they call them the Disney Princesses. In the fairy-tale the Duke doesn't marry the Duchess, the Prince marries the Princess. Cinderella didn't get turned into a Duchess, she got made into a Princess. I could go on and on. The media has tried to hype these two as the "fairy-tale" romance, and that's why people get so upset that Kate isn't a "Princess"
You could not pay me to care. I just wish she was known by her actions and her deeds. ^ I am with you who gives a damn which one has a bigger title the royals are the biggest benefit scroungers no matter what one calls them. @ Meemene, I know that I get it just fine. Your explanation was very thorough and easy to understand. I was just stating why some people, who don't follow the royals that closely, would be upset about the whole title thing. Meememe doesn't get it at all. Do not take what she says as correct it isn't . I'll get the links when I have time do you can all see. Kate is not , a princess. That was not the regal title she inherited. She is not married to the prince of wales, Charles ' title is regal. Kate is not a princess . The Palace confirmed this . William is not there . The queen wanted her to know her place several ways . @ meememe: I will extend to you the professional courtesy you seem to expect, yet you do not accord others. You demand a different regime for yourself. So be it. Therefore, I won't question your robust historical analysis. However, I do recall that it was announced by Royal Reporter that Kate is not entitled to be styled 'Princess'. Make of that what you will. 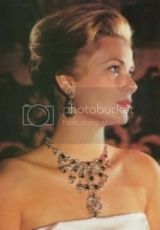 Perhaps it is because she married William as a Duke, as gia asserts? Can someone please explain to me in what parallel universe William was ever a 'commoner'? I think you might be right, but it was a serious question. I don't understand that at all. He could had been a commoner in another life. Past reincarnations, anyone?